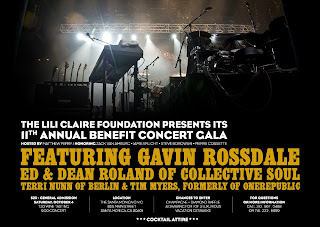 This weekend, Matthew Perry hosts the Lili Claire Foundation’s 11th Annual Benefit Wine Party & Concert, featuring Tim Myers, Terri Nunn of Berlin, Ed and Dean Roland of Collective Soul, and Gavin Rossdale. The concert is preceded by a California Wine Tasting Party featuring Anglim Winery, Atmosphere Wines, Costa de Oro Winery, Gloria Ferrer Winery, Markham Vineyards, Plata Wine Company, Rosenthal, the Malibu Estate and Wades Wines. All proceeds from the event benefit The Lili Claire Foundation’s Family Resource Center at UCLA, where they offer free programs and services to help special needs children and their families. Tickets for the concert start at a minimum donation of $25 for general admission seats. Preferred seating is also available for $50-$100. Floor seats for the Dinner & Concert start at $500 each. For more info on the Lili Claire Foundation and the Wine Party and Concert, click the title link. 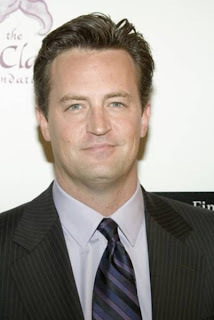 ain't seen him around lately, this is interesting, everybody and their charities. Blah. He should give back! We should all give back!! Sheesh, Perry was making a mill an episode!